The MWC 2017 taking place in Barcelona Spain is finally here and this has put speculations about the Nokia 3, Nokia 5 and Nokia 6 to rest. 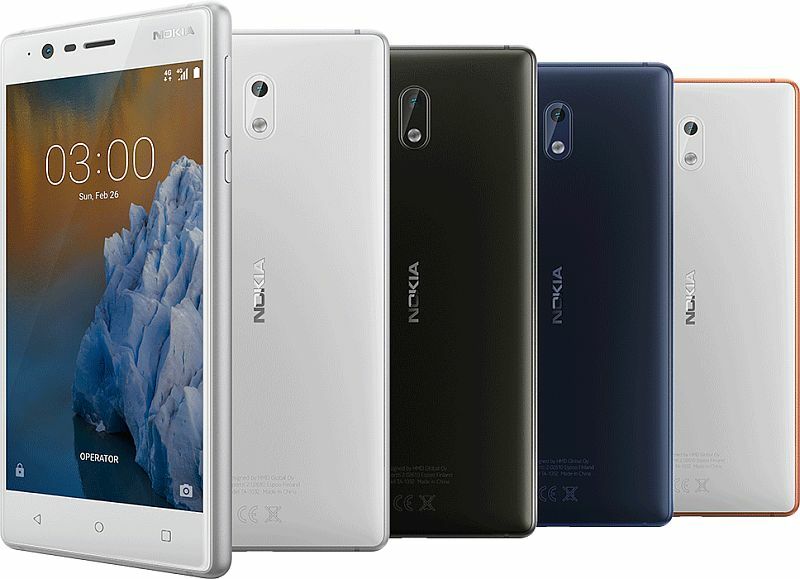 The Nokia 3, Nokia 5 and Nokia 6 have been unveiled today at the MWC in Barcelona today but what came as surprise to many was the decision of Nokia to use a MediaTek processor on the Nokia 3 Android smartphone. Nokia 3 is a 5-inch Android-powered smartphone which runs on the latest Android 7.1 Nougat. Nokia 3 is the most low-end of the three Nokia Android phones unveiled today. It has a polycarbonate back surrounded by an aluminium frame. In the processor side of things, you get a MediaTek 6737 processor paired with 2GB RAM and 16GB of internal storage. In the camera department, There’s an 8MP front and rear camera, meaning your selfie game will won’t be disappointed here. Below are the full specs of the Nokia 3 Android device. Battery Capacity- 2650mAh Removable Battery.